With new year upon us many a law enacted over the last year will all be taking effect at once. Among all this newly effected legislation, marijuana laws have taken an enormous role. The legalization of marijuana has been a rolling stone steadily gaining momentum over the last several years–both for medical and recreational use–and this year has been no exception. As the ball dropped in New York we also saw quite a few criminal restrictions on marijuana drop across the nation. Perhaps nowhere more so than in California where they took the enormous step of becoming the sixth state in the U.S. to permit the sale of marijuana at licensed stores. Obviously, it isn’t just that simple, not only is marijuana still Federally illegal and in the sights of Attorney General Jeff Session’s Department of Justice, the laws require quite a few provisions which are important to understand in the light of such a huge shift in the legal landscape. Let’s look at the new California law–as well as upcoming potential changes in other states–and see how these laws apply to you and your business considering state law and the federal government’s take on the issue. At its simplest level, California’s new position on marijuana is nearly identical to its position on alcohol. As of around a week ago if you go into a licensed shop and you’re 21 years of age or older you can buy marijuana so long as you have a driver’s license or ID card with you–either a California license or another state license works. You don’t need a medical marijuana license anymore but, as we’ll discuss later, it’s a bit too early to be throwing away your medical marijuana licenses. Although you can buy marijuana now, that doesn’t mean you’re free to go light up in front of a cop. In fact, it’s still California state law that it is illegal to smoke marijuana in a public place. This applies everywhere, even if you could legally smoke a cigarette at that place. The penalty for this is not particularly extreme, a $100-$250 fine, but it is still a crime and something to keep in mind. It is perfectly legal to consume marijuana in your home or another person’s private property. In terms of the businesses selling marijuana, while there are some who are already set up with a license as some California cities are considering opening marijuana lounges along the lines of a hookah lounge, it’s not going to be as easy as simply sending an application to the Secretary of State and setting up the next day. 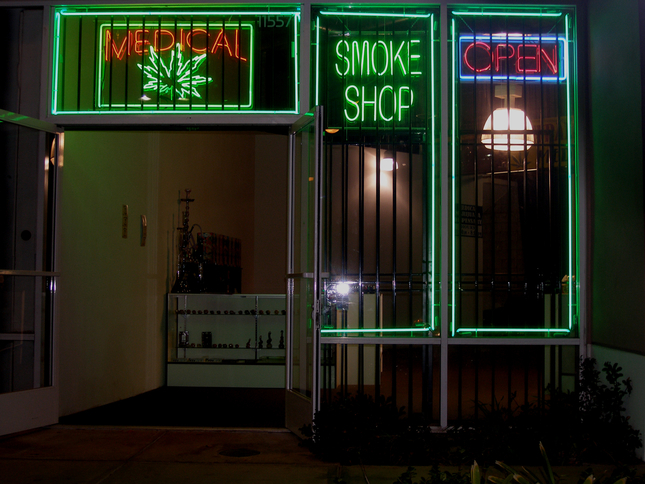 Even after a business entity is set up, sellers will need to register with the California Department of Tax and Fee Administration and seek a license from one of three entities–the Bureau of Cannabis Control out of the Department of Consumer Affairs, the CalCannabis Cultivation Licensing Program through the California Department of Food and Agriculture, and the Manufactured Cannabis Safety Branch through the California Department of Public Health. Right now, you can expect all these places to extremely backed up with requests for licenses. Even once a business has a license, they need to be permitted with the city or county they plan to do business in–a matter that is complicated by the fact that many California cities are not currently allowing recreational dispensaries whatsoever. At this point, mostly the same medical marijuana dispensaries that were already there. This being said, the cities that do allow recreational marijuana sales have generally already allowed these medical dispensaries to immediately move to recreational sales. It is also worth noting that California has now made the move of allowing cannabis trademarks, something that previously was a no-go. Growing your own marijuana in California is a bit of an odd issue as it’s primarily an issue that changes quite a bit from city to city and county to county. In theory, it has been legal for any 21 or older Californian to grow up to six plants per household since November of 2016. The only real proviso to this is that they must be kept out of sight of the public. The reality of the situation varies enormously based on local governments–some being incredible permissive and some much more restrictive. A few common local restrictions are permitting requirements, often expensive and difficult to obtain, and requirements that the plants are grown completely indoors. First and foremost, don’t smoke marijuana and drive. It’s illegal and it’s irresponsible. However, to address the exact law on the issue, California now treats marijuana almost the same as alcohol you keep in your car. Just like you can’t have an accessible open container of alcohol in your car, you can’t keep an accessible open container of marijuana or any accessible means of consuming marijuana in your car. As already mentioned, driving while impaired is absolutely a crime. However, it does raise some interesting legal issues. As it is, it is quite difficult for authorities to establish and measure current cannabis impairment. If an officer believes you are impaired, they will likely arrest you and–as it stands–if a blood test shows you have marijuana in your system a charge can be brought for driving while impaired. A blood test is not a very reliable test of current impairment as it can show positive results from anything from 4 to 12 hours or–in the case of more regular users–several days. You can see the issue here, does a blood test really show whether you were currently impaired when you were pulled over? What’s more, the usual tests for detecting impairment applied by law enforcement officers are not tuned to detecting marijuana impairment. In Massachusetts, the Massachusetts Supreme Judicial Court has already ruled that the field sobriety tests generally used by police officers as part of traffic stop cannot be evidence of driving under the influence of marijuana. This is likely an issue that will develop in the California courts over the next year or two, but is unresolved for now. How Will Marijuana Impact Employment? California, as is the trend across the nation, still allows employers to test employees for marijuana and fire, refuse to hire, or take other detrimental employment action against that employee or would-be employee based on the results. In fact, with some federal agencies this testing is required–not a surprise given marijuana’s federally illegal status. However, it is a bit of an odd position given how close California’s treatment of marijuana is to alcohol at this point. It would be quite odd for an employer to act against an employee for drinking alcohol off duty if it didn’t affect that employee at work. This treatment is a nationwide standard at this point. Not so long ago, the Massachusetts Superior Court dealt with this issue and took it even further by saying that an employer could take action against an employee prescribed marijuana as a medical treatment for Crohn’s disease and is under no obligation whatsoever to make the usual accommodations for a disability when it comes to marijuana. As marijuana legalization ramps up across the country, Attorney Jeff Sessions has left no question as to his position on it. Describing marijuana as equivalent to heroin and at one point controversially stating that he thought the KKK were ok people until he learned they smoked marijuana. Suffice it to say, he is not a fan. This has manifested previously manifested itself in his Department of Justice taking the position that they will prosecute and seek the greatest possible sentences on all violations of federal marijuana possession laws–a policy opposite to the Obama administration’s approach of not prosecuting when an action was legal under state law. Congress has not been entirely cooperative with his plan, giving the DOJ no money whatsoever to prosecute medical marijuana. However, this does not include potential prosecution over recreational use and, just last week, Sessions has announced that he will give federal prosecutors total discretion as to what to do when state and federal law contradicts on marijuana. Jeff Sessions stance has drawn criticism from both Republicans and Democrats in the Senate. However, it is unlikely to change and will present something of a minefield as these types of laws move forward. Federal prosecutors seem unlikely to come down on individuals, but businesses selling recreational marijuana might be a different story. If Sessions’ position is creating a minefield now, the next year of legislation is looking like it only be making the situation more complicated. At this point polls show that over 60% of U.S. citizens support full legalization for adults and the states are taking notice and moving to take advantage of the taxes to be earned on marijuana. In the coming year Vermont, New Jersey, Maine Michigan, Delaware, Rhode Island, Connecticut, Ohio are all looking to legalize recreational marijuana in some form or another. Oklahoma, Kentucky, South Dakota, Utah, and Missouri voters will decide on medical marijuana. On July 1st of this year, Massachusetts makes the move hosting retail recreational marijuana brick and mortars. Marijuana is on the move in the U.S., make sure you know the law on the issue for where you live.